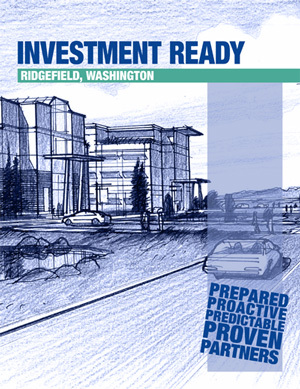 City Council - The City of Ridgefield, Washington | Forward Thinking. Rooted in Tradition. The citizens of Ridgefield adopted the council-manager plan of government in 1999. Under this form of government, the elected officials are the community leaders and policy makers who establish a vision for the city and then appoint a city manager to carry out public policy and ensure that all residents are being well served. The council-manager form of local government combines the strong political leadership of elected officials with the strong professional experience of an appointed local government manager. The City Council consists of seven members who are elected by the citizens of Ridgefield on a non-partisan basis for four-year terms. Elections are arranged so that three or four terms expire every two years. Council members have the responsibility of establishing policy to govern the City, adopting a budget for city revenues and expenditures, and performing all other actions necessary to govern the City, including the passage of ordinances and resolutions. The Council is led by the Mayor, who is appointed biennially by the members of the Council. The Mayor serves as the chief spokesperson and head of the City government for public and ceremonial purposes. He presides at all Council meetings, votes as a Council member and does not have any veto power. He/she may sign legal instruments and documents on behalf of the City. He has no full-time administrative duties. In April 2014, Council established an independent Salary Commission composed of five members to set the salary of the mayor and council members. Details about the Commission are in the Ridgefield Municipal Code, Chapter 2.62. (Position 4, Term expires 2021) Mr. Stose and his wife Sherry moved to Ridgefield eight years ago. He and Sherry have two children who are both married and enjoying their respective families. Mr. Stose retired from Toyota Motor Sales USA after enjoying a very successful career. He was appointed to the Ridgefield City Council in 2008 and enjoys helping the City of Ridgefield move forward and become a more vibrant and prosperous city. (Position 2, Term expires 2019) City Council member David Taylor is a long-term Ridgefield resident and became a member of the Ridgefield City Council in 2008. David has been involved in numerous civic activities including Lion’s Club of Ridgefield, assistance with View Ridge Middle School Aviation STEM classes, organization of the Ridgefield Community Garden, member of the Oregon State Board of Engineering Examiners, committee on Fire Protection Policy and International Licensure, Governor’s appointment to the Citizens Committee on Pipeline Safety, Civil Air Patrol, Mission Pilot, Search and Rescue. David is a retired Engineer with professional licenses in Washington and Oregon in Mechanical and Environmental Engineering. He worked with a local Natural Gas Utility for 30 years in systems design, high-pressure transmission pipeline design, construction and project management, code compliance supervision and systems development design to meet the growth requirements. David has served with many boards and organizations related to his profession including President, Professional Engineers of Oregon; National Vice-President of the American Society of Mechanical Engineers, Director of the National Society of Professional Engineers, Board member and Treasurer of the Professional Engineers of Oregon Scholarship Fund. (Position 3, Term expires 2019) Mr. Wells has been in the community over 60 years. He, along with his wife and their five children, is a graduate of Ridgefield High School. To date, he has had nine grandchildren in the Ridgefield school system. Mr. Wells retired from Columbia River Log Scaling & Grading Bureau after 44 years of service. He was President of Ridgefield Junction Neighborhood Association for six years and Legislative Director for Clark/Cowlitz Farm Bureau for six years. Mr. Wells has made several trips to Washington DC to discuss estate taxes, wildlife management and other community concerns. He and his wife, Geri, continue to run the family farm they bought in 1972. Mr. Wells is honored to have served as a Ridgefield City Council member for the past six years. (Position 5, Term expires 2019) Mr. Wertz holds degrees in economics from UCSD Revelle College and University of Oregon Graduate School. He is married to Ridgefield native Juanita (Finch), raised his family in Ridgefield and served the community and people of Clark County through Rotary, Boy Scouts, American Legion, Board of Equalization, as Planning Coordinator an Economist for Clark PUD and on the planning commission and City Council of Ridgefield. 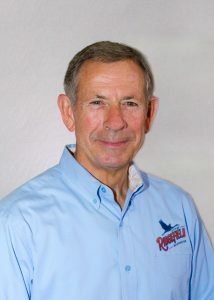 Mr. Wertz has held licenses as Commercial Real Estate Broker, Washington State Water Manager III and Certified Cash Manager. He has served on the Mt. Hood Ski Patrol for over 18 years and is a decorated Army veteran. Committed to “good government” Mr. Wertz strives to create for future generations a safe, prosperous, healthy and highly desirable place to live. He welcomes your input on how best to maintain and enhance our quality of life with the growth Ridgefield continues to experience. Current focus areas are planning, business, employment/jobs, parks and trails. (Position 6, Term expires 2021) Lindsay holds a B.A. in Political Science from Portland State University, has more than 10 years of experience working with schools and local government, and demonstrated her leadership skills on the City’s Planning Commission from 2016-2018. In her nine years as a resident of Ridgefield she dedicated much of her time to volunteering with service groups such as Ridgefield Lions, the 4th of July Committee and the Booster Club. She is interested in keeping the rural feel surrounding our town as the City grows, a trail system network that creates a draw to the region and maintaining the historical, small town atmosphere of downtown. City Council Member Jennifer Lindsay was appointed to Council in October 2018 when a vacancy occurred due to a resignation. She will be required to run for election in 2019 to retain the Council seat. (Position 7, Term expires 2019) City Council Member Sandra Day has made her home in Ridgefield since 2008 and became a member of the Ridgefield City Council in 2012. Since becoming a councilmember, Sandra has served with dozens of boards and organizations including Board Member, Columbia River Economic Development Commission 2014-2015; Association of Washington Cities Legislative Priorities Committee 2014-2015; Board Member North Salmon Creek Neighborhood Association where she owns investment property, 2012-2015; President, Rotary Club of Greenville, Texas; Leadership Greenville Graduate; Lions Club of Ridgefield; Friends of Ridgefield National Wildlife Refuge; American Legion Auxiliary Post 44 Ridgefield; Ridgefield Big Paddle/National Trails Day Event Planning 2013-2015; Clark County Rental Association Member; and active in professional organizations, American Society of Training & Development (chapters in Texas, California, and NW) and Society of Human Resources Management (international). 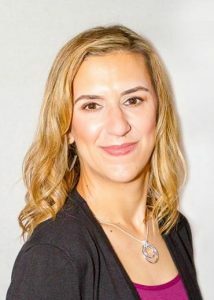 Sandra has also offered her grant writing skills and consulting expertise, free of charge, to a variety of charities in Clark County including two local food pantries and Northwest Battle Buddies, a nonprofit for veterans. She obtained competitive funding for the trails improvement and for the historic mill within Whipple Creek Regional Park and continues to support parks, trails, and green spaces in Clark County by speaking to Clark County Commissioners and volunteering with Clark County Parks actively. Sandra is a graduate of University of Dallas with an MBA. She retired from a major USA corporation in 2011. Her family has kept her hopping across the country since retirement visiting her two sons, six grandchildren, and extended family. She is a Stephen Ministry administrator in her church, caring for people in times of stress. She also spends her personal time gardening, traveling, and playing golf. In 2012, Sandra was appointed to a first partial term (2012-2013) at a time when Ridgefield grew in population and Council was expanded from 5 to 7 members. Thereafter, she was elected to her first partial term on the Council (2014-2015). She will run in 2015 for a full four-year term (2016-2020).